Who knows what secret message has been hidden in the ancient symbols of Celtic Mystery? A promise of infinite health, wealth and prosperity? Timeless design for a wonderful future. 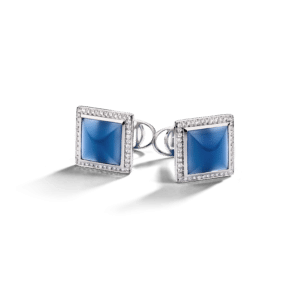 One 18K white gold pair of cufflinks, containing 84 (eighty four) diamonds.